Pretty Me Up! : Sephora Exclusives! All three brands are exclusive to Sephora! 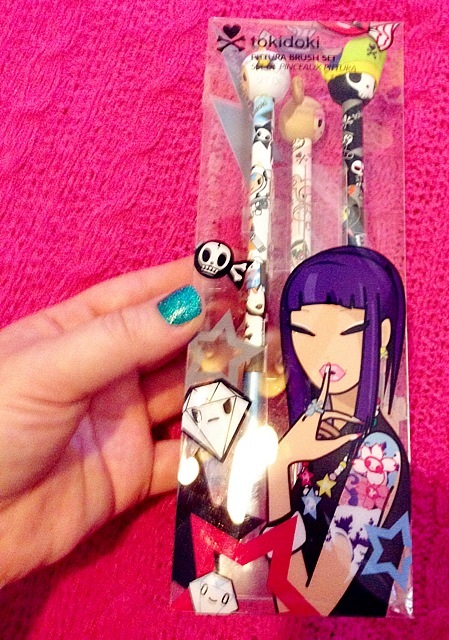 Create the eye look of your dreams, with the help of your favorite Tokidoki character. 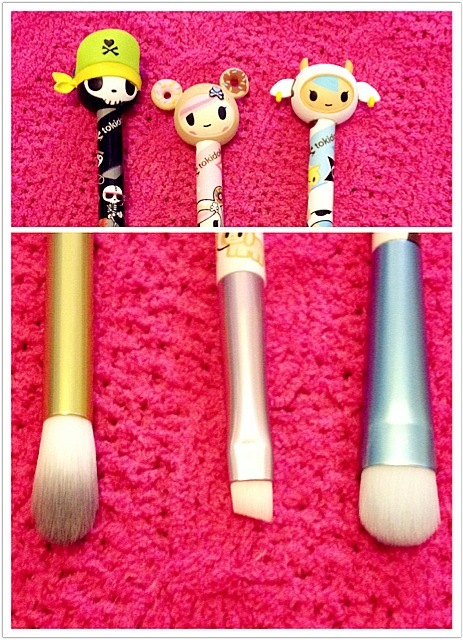 Each brush in this must-have set is adorned to represent one character, from top to handle, giving your makeup routine a dose of adorable personality. 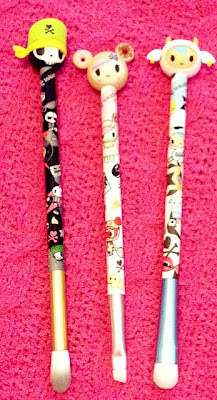 Adios Amigos Crease Brush has a precisely tapered tip that fits flawlessly in the contours of your eyes allowing you to fill and blend in your creases, even with your eyes open. 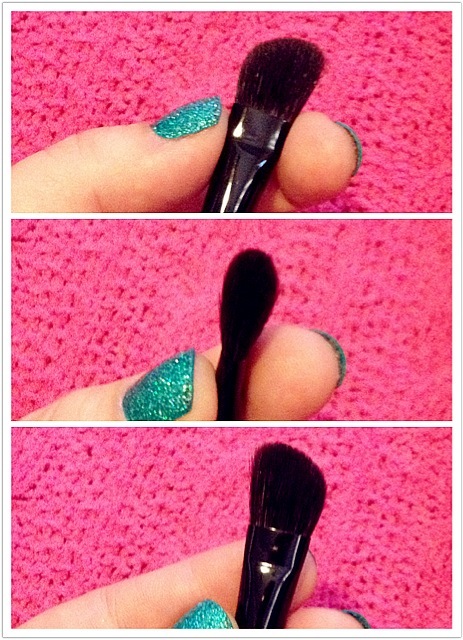 This brush is awesome.. it is rather big for the crease but somehow it blends effortlessly for that blended-out look. Donutella Angled Eyeliner Brush flows flawlessly along the lashline making it easy to achieve a perfectly straight line. 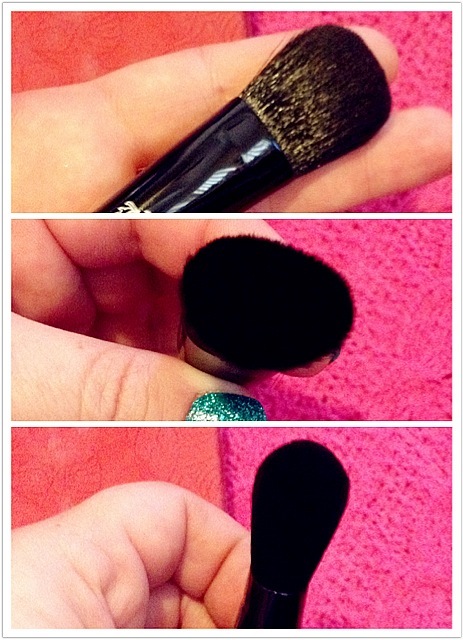 Synthetic brush hair works well with liquid and cream formulations, as well as powder liners—wet or dry. The ultra-soft, antibacterial, luxurious fibers are white with glowing, color-coordinated tips. 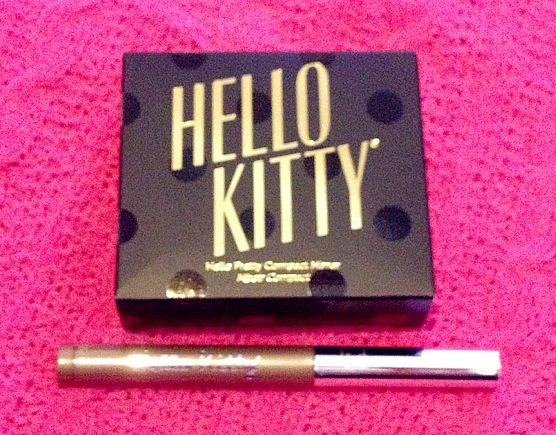 LOVE this for brows and even more for cream eyeliners! Mozzarella Eyeshadow Brush is a large, flat-headed, multi-purpose brush perfect for applying light or deep color over your lids, and highlighting your brow bone. Its size allows for quick maneuvering and application. Because of its large size, it packs on color really well! You can also use it on your highlight!! Explore the illustrious city of London with the cast of criminally cute characters as they compete in the prestigious tokidoki summer games. Elite athletes from throughout the tokidoki kingdom will battle to take center stage in Simone Legno’s depiction of Love from London. Get in the united red, white, and blue union jack spirit for this Great Britain adventure with this entire bag collection. The slender, medium-sized pencil bag is great for travel accessories and the Everyday Bag is the perfect shape for your purse or a weekend trip. The soft, yet structured train case will keep your beauty essentials organized and easily portable. Inside you’ll find removable compartmental dividers and brush stalls with bristle protectors, ensuring your tools are kept safe and secure, while maximizing space. 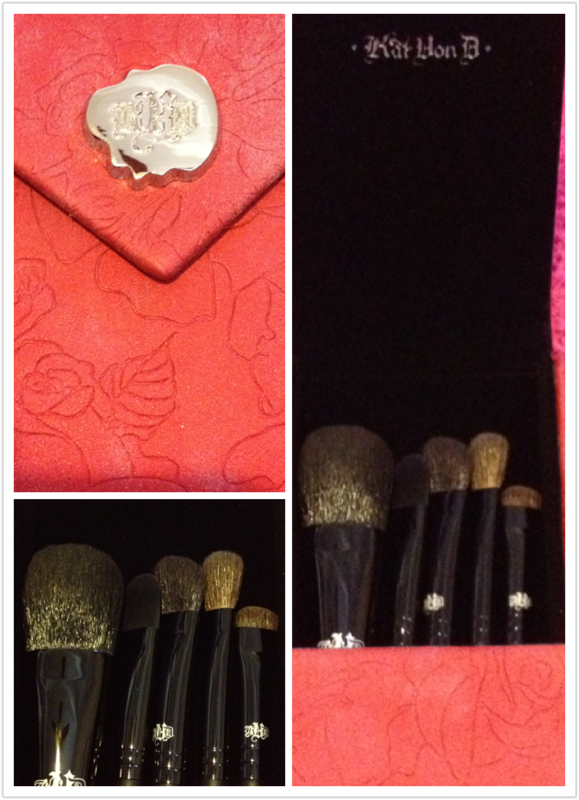 This pencil bag is great because it can hold brushes, and other daily touch-up makeup products! 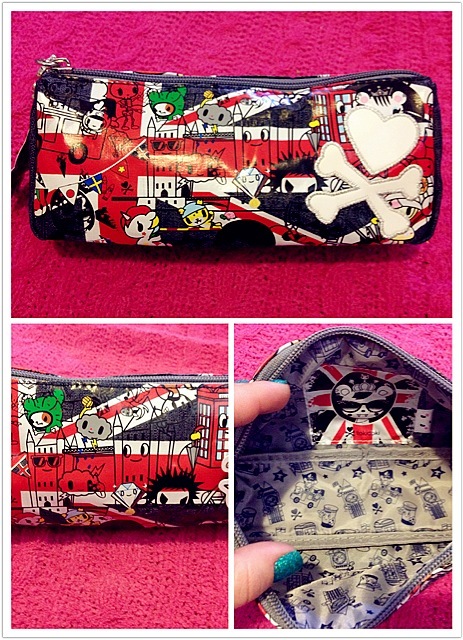 I LOVE tokidoki bags so this is a must have for me! I have a bit of an obsession with the UK lol! 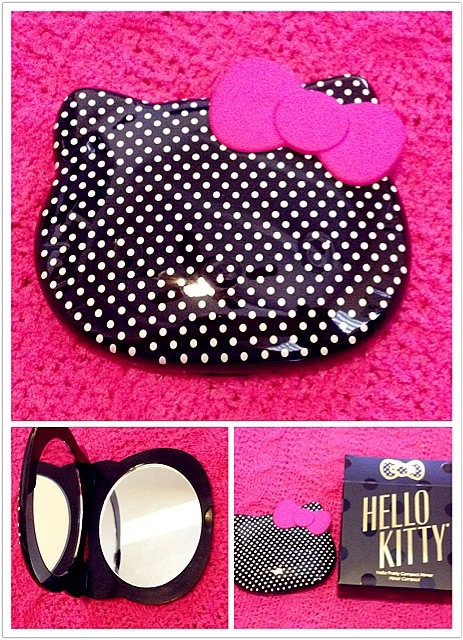 Decorated with extra-charming polka dots and topped with a hot pink bow, this pretty purse accessory is the perfect way to bring Hello Kitty with you on all your adventures. The compact opens up to a regular mirror on one side and a 3x magnification mirror on the other for easy touch-ups and application. How CUTE is this Mirror?! 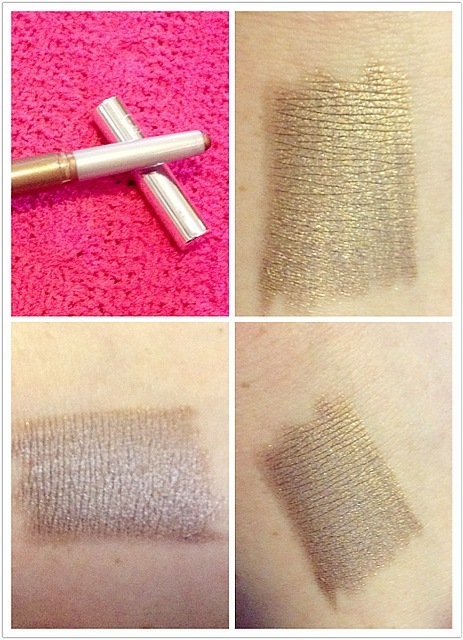 I LOVE the 3x magnification to touch up my eye makeup throughout the day! Shade: Teacup "a shimmery golden medium brown"
This shadow stick applies color precisely with a texture that seems to melt onto your eyelids, leaving a comfortable, even film of rich color that won't smear or fade. 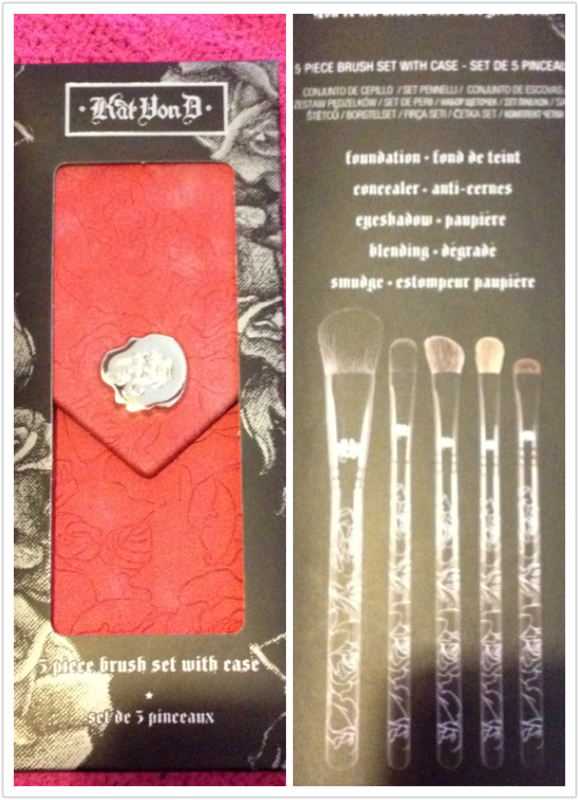 Its texture is ultra-thin, non-oily, and applies so evenly, there is no need to blend. The retractable pen applicator makes it easy to apply, even when on-the-go. Sweet and effective, this Hello Kitty product contains powerful extracts of strawberry, apple, and grape seed to hydrate and soften skin. Packed with powerful antioxidants, these ingredients also fight free radicals and improve skin's elasticity and youthfulness. A shadow stick with amazing skin care benefits! What more could you want? The color is beautiful... It's a light golden, however sometimes it reflect taupe!! Beautiful and smooth and creaseless! I need more of these!! 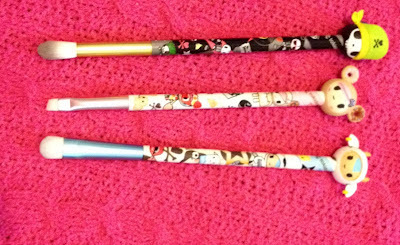 From smoky and mysterious, to casual everyday elegance, this set of high-quality brushes will help you achieve a variety of eye looks with ease. 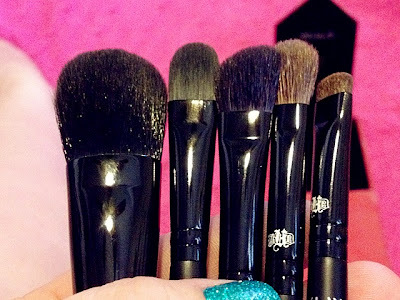 Smudge, blend, conceal, highlight, and contour with these soft bristles, designed to disperse formulas evenly and provide smooth, full-color application. The set comes in a sleek, black vinyl case with beautiful stencil design, perfect for easy, protected travel. 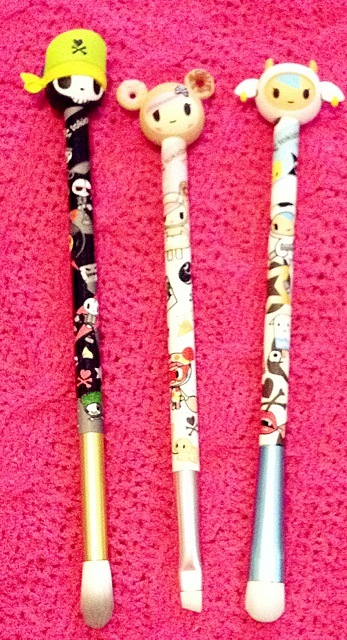 I absolutely LOVE these brushes! 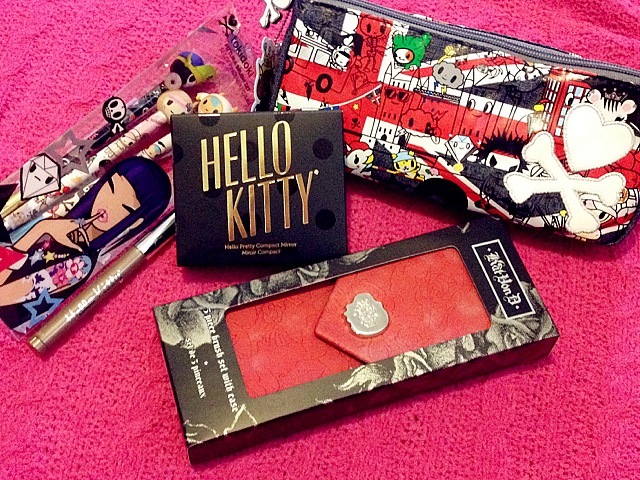 They are very high quality and the travel case is awesome! 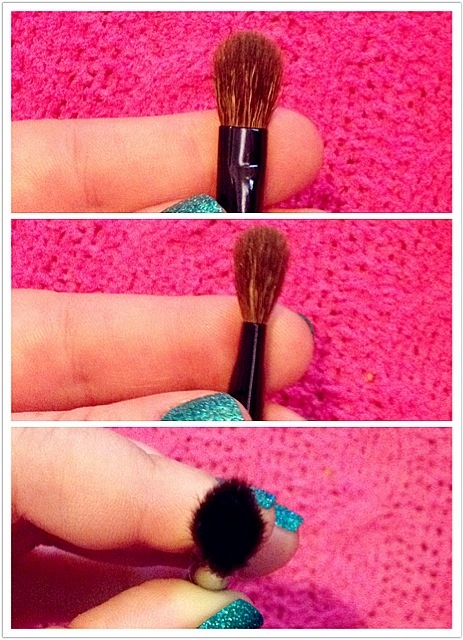 Foundation Brush, this one reminds me of the Tom Ford Cream Foundation Brush. I don't own the TF one but this is the same type of concept. Natural-bristles help to create a fuller-coverage, air-brushed look. 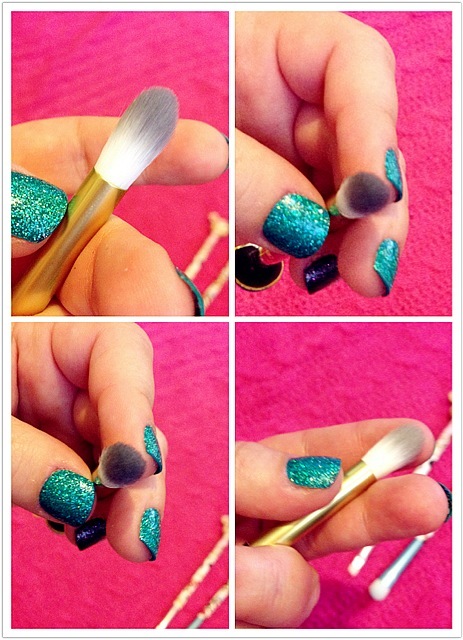 This is just your typical flat concealer brush. If you use a cream concealer, it can give you a fuller coverage under your eyes. You can also use this with cream shadows! 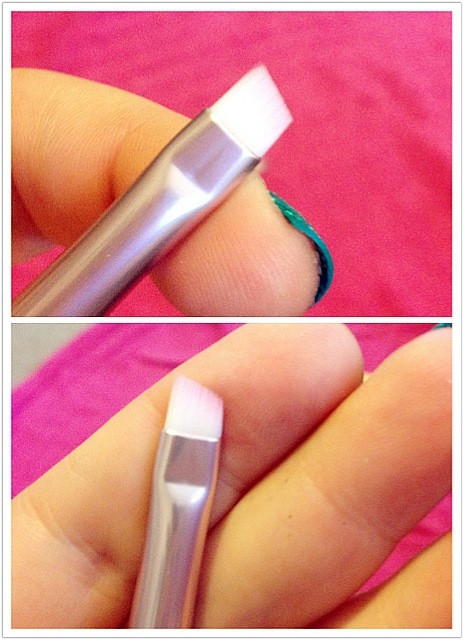 This is great for the crease, or even for packing on color to the eyelid. 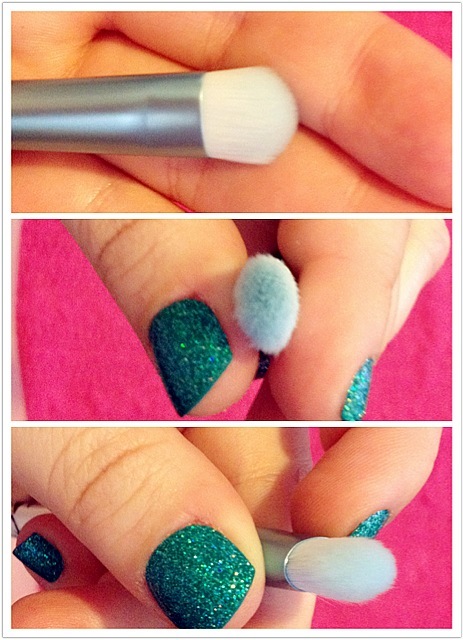 It is a larger angled e/s brush so build up the crease color lightly, bit by bit. It blends easily and is really dense so it picks up a ton of color! 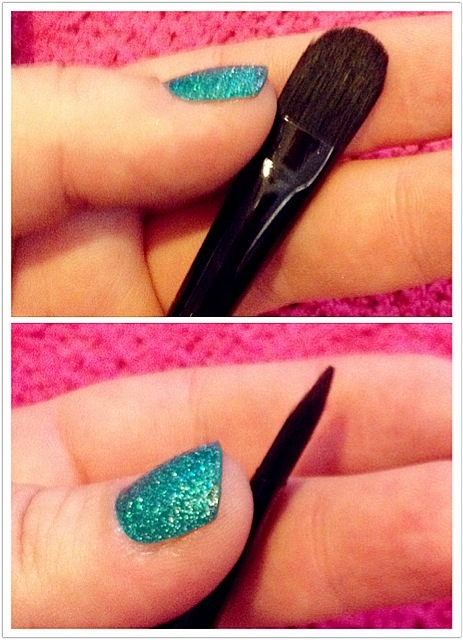 Perfect for blending out any liner, to create the smudgy/smoky effect. 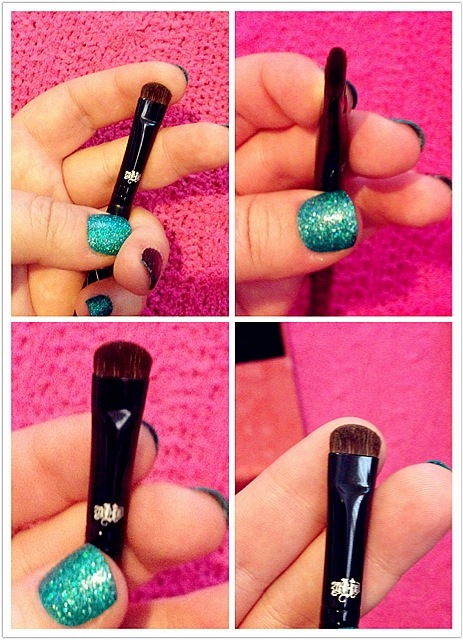 Great for putting a shimmery highlight RIGHT underneath the brow bone. And great for going under the eye liner to smudge or to just apply a bit of shadow!